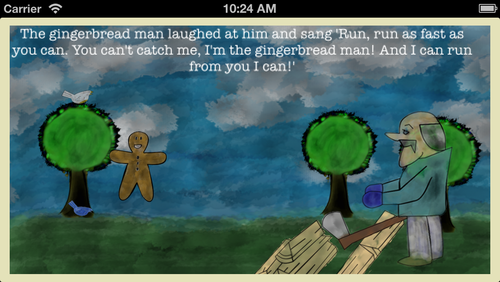 The Classic Tale of the Gingerbread Man. The classic tale told with watercolor artwork. Includes audio and light animations that young children enjoy. 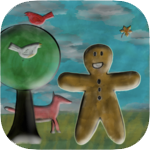 Tap the gingerbread man when he sings his song to make him jump.